Well we’re now 2 months into the Fleet year and I’m happy to report that things are moving along. To be honest, it’s not as quickly as I’d hoped, but when you have a large diverse group you have to learn to roll with the punches. I’m quite proud of the progress our fleet has made none the less. We continue to forge ahead day after day and I’m happy that we are being noticed. I’ve been getting emails from organizations in New York, Texas, and Florida asking for our help with events. This is a great way to serve the community, increase knowledge of the fleet, and best of all recruit. Presently the Command council is deliberating the Fleet Wide Major Emphasis Project. This is a project designed to bring the fleet together to work on a common cause. It won’t supplant what your are doing right now, but it will augment your chapter’s program. I believe it will add to the flavor of the Fleet as a whole. The projects being considered, after several weeks of nominations are: Environmental Cleanup, St. Jude’s Children’s Research Hospital, and Project Linus. Each one of these causes is worthy of our time and attention. Please let your Commander Officer know which project you prefer so when it comes to vote in the very near future, your voice will be heard. Starting this month, in an effort to track our fleet wide goals, I’ve started a monthly reporting process. Nothing too intensive. One Page that covers the areas we have outlined. These reports are essential to the leadership of Fleet 31 in keeping tabs on how active we all are and what help and assistance each ship needs. It’s just another way to keep the lines of communication open. I look forward to seeing what the ships do each month. 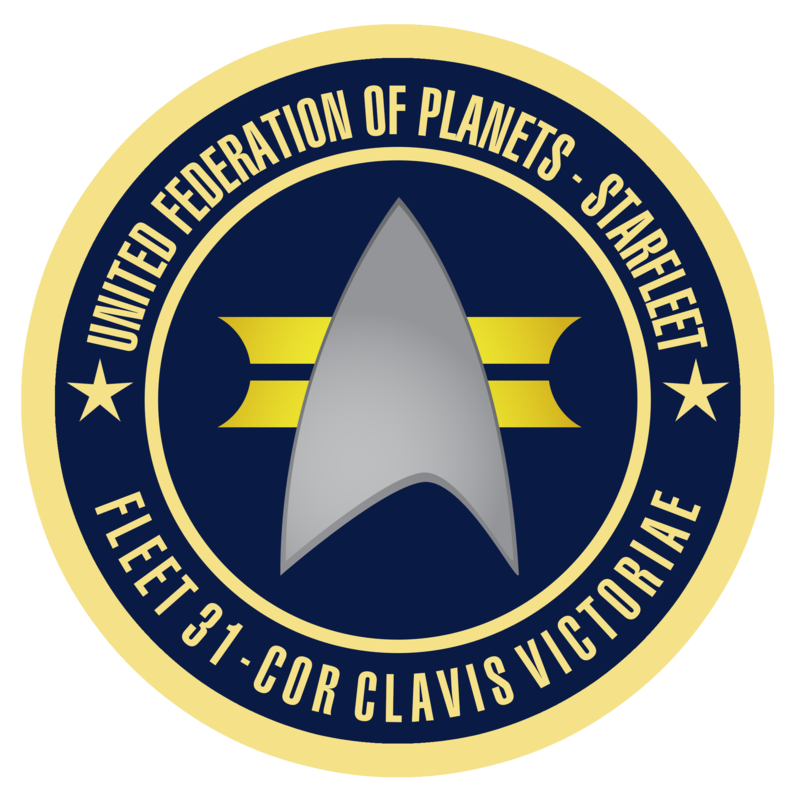 Also included with the Monthly Report is an area designed to recognize Fleet 31 members at the Fleet Level. It’s my hope that we will be able to institute a Fleet awards system in order to give a pat on the back to those officers and crew that exemplify the very mission of Fleet 31. Each month I’ll pour over the reports and those that are nominated by the Ship’s CO will be give some as yet undetermined kudos. It’s my hope that this takes off and becomes a regular occurrence and maybe even trickles down to the ship level by ships creating their own recognition programs. That’s about all I have for this month I’ll leave you with this. Fleet 31 has the potential to make someone smile each and every day. You are that potential. Hold that door open, help a neighbor, pay for the person behind you in the drive thru. Random acts of kindness can change the world and as Gandhi said, “You must be the change you wish to see in the world”. CorClavisVictoriae! Posted in Fleet News, Promotions, Command Changes, etc.